Typically what goes up must come down, but the law of gravity doesn’t always work when it comes to picking up and decluttering. I’ve found that putting a couple organizing tricks in to play can help make it run a little more smoothly. One of my favorites is to keep a basket or two around for quick clean ups. Instead of running up and down the steps or from one end of the house to the other putting things away constantly, put a couple baskets or bins in the mix. This trick will ensure that tidying up and putting away is a quicker process. For my home, there are socks and toys strewn about the family room nightly. A quick toss in the basket is so much easier than nagging kids to bring this and that up to their rooms. It’s a great trick and much easier for my little ones to get on board with. 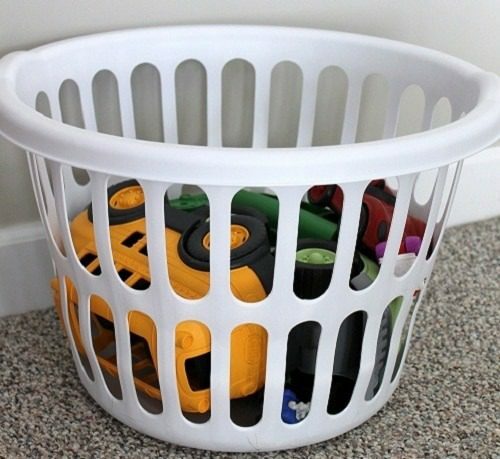 laundry basket – if you’re folding laundry downstairs (or in another part of your home) look around the room and see if there are other items that can be tossed in the basket and brought upstairs at the same time as the folded laundry. Laundry baskets aren’t always for laundry in my home, I use them for decluttering and quickly sorting items to be relocated to other places as well. bags – use reusable shopping bags or small fabric bags and keep them in the room that gets the most cluttered (maybe your family room or play room) – put items that need to be put in bedrooms in the bag and send the bag to the bedroom. No dropping toys on the way upstairs or leaving little pieces behind. You can assign a bag to each family member or child, and once bed time or clean up time approaches, send the bag to the room with your child to its drop-off point. baskets – find a cute basket or two and keep them on your steps (if you have older kids). When the basket is full or before pajama time, the basket and the stuff gets put away. As a clean up tactic, you can also give the basket to your littles and see how quickly they can fill it up and bring it to its proper destination. So this anti-gravity trick works in my home – what trick works in yours? Becky is a self-proclaimed clean freak and list maker. 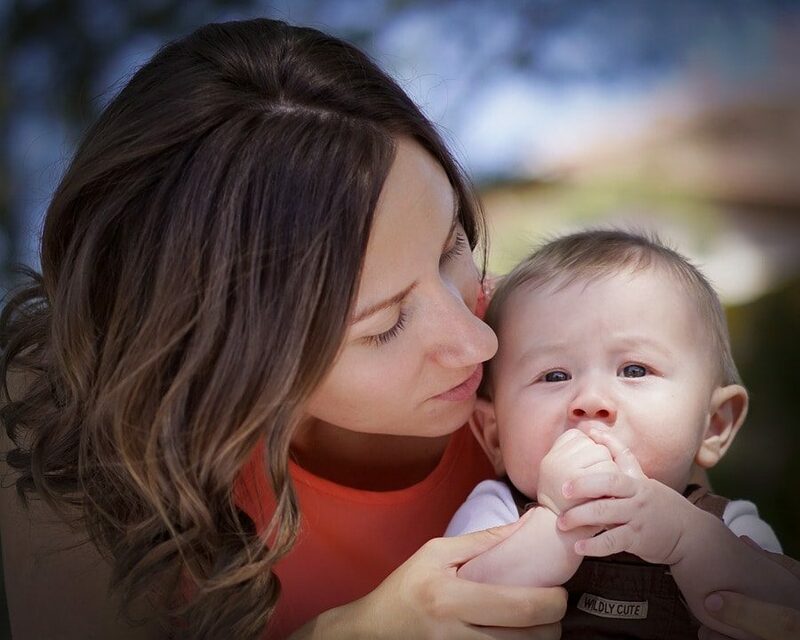 She is a work-at-home mom to three little ones, and in her spare time she enjoys sharing her cleaning and organizing tricks and tips on her blog, Clean Mama and through her Etsy Shop, Clean Mama Printables.